Saturday, April 6, 2019, 1:00 p.m. - 7:00 p.m.
Sunday, April 7, 2019, 4:00 p.m. - 8:00 p.m. 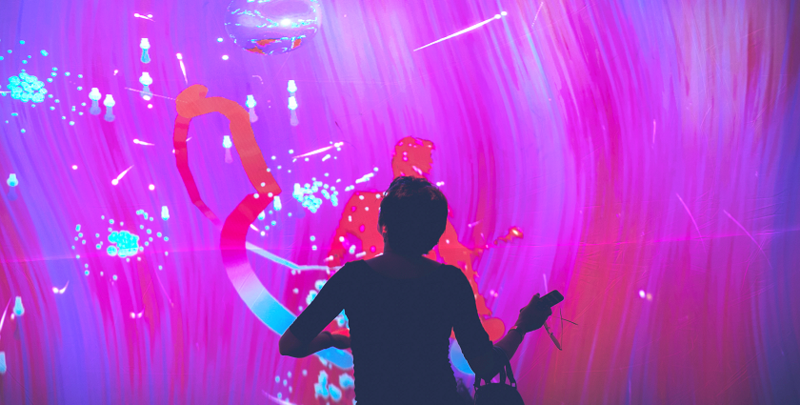 Enter a world of immersive art through this large-scale projection on Seneff Plaza and use the motion of your body to transform the projected environment. This 60-feet long, 25-feet wide inflatable structure brings the bright, fun and vibrant spirit of the Creative City Project’s annual IMMERSE event to UCF Celebrates the Arts.